Average size Pizza with traditional base for only € 7.95 (less than € 4 per person, for 2 people). 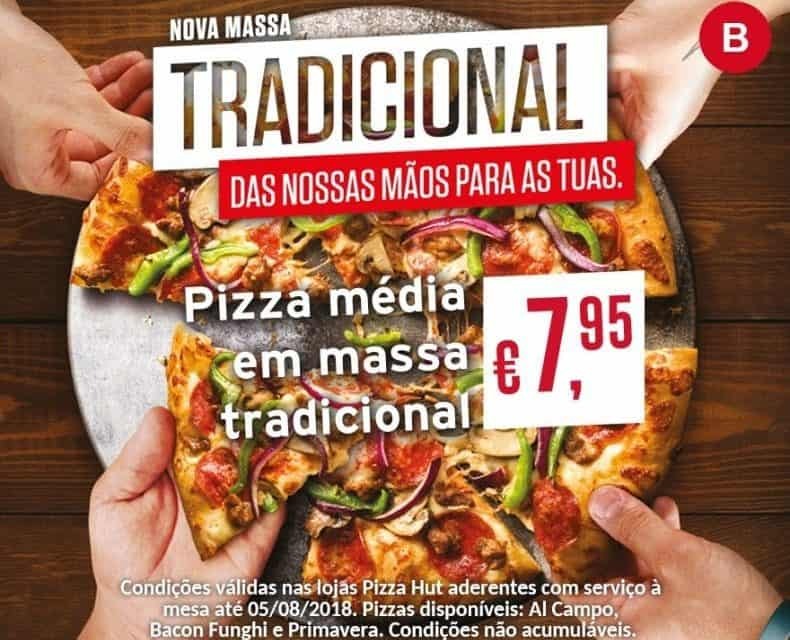 conditions at Pizza Hut - table service upon submission of a duly printed coupon or smartphone screen at the time of payment. Pizzas available: Al Campo, Bacon Funghi and Primavera. Conditions not cumulative with other offers or promotions.